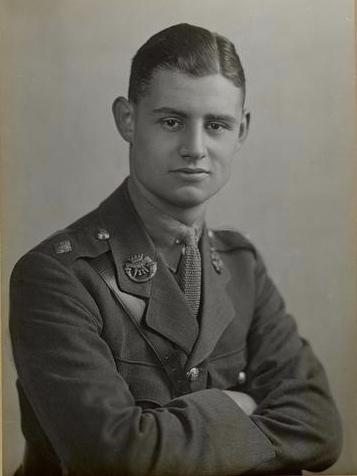 Roger John Edward Cadogan was born on 24th August 1898 at Bath in the county of Somerset. His parents were John Hebert Cadogan (1866-1912) and Alice Rawlinson (1873-1951). In 1931 Roger Cadogan changed his name by Deed Poll to Cadogan-Rawlinson adopting both his parents surnames. In December 1941, he was a Lt-Colonel and commanded the 5th Battalion of the 7th Rajput Regiment in Hong Kong. When war started his battalion was on the right flank of the Gin Drinkers Line. His battalion formed a rear guard during the subsequent evacuation of the Mainland Brigade under fire. Once back on Hong Kong Island, his battalion was given the difficult task of defending the heavily bombarded north east shore and manning the pillboxes along that stretch of shoreline from North Point to Shau Kei Wan. It was on this stretch of the Island shore that the Japanese made their landings on the night of 18th December 1941. The Rajput defenders were outnumbered by ten to one as more than 8,000 Japanese troops including six infantry battalions landed in his battalion sector. His Battalion HQ had been located at Tai Koo Police Station. He and his staff officers were pushed back up Mount Parker Road. Cadogan-Rawlinson ascended Mount Butler and then turned westwards on the ridge path hoping to reach Jardines Lookout (JLO) and drop down to Tai Hang where his reserve company had been based. He hoped to reassemble what was left of his battalion. However, by dawn on 19th December he found the Japanese advancing up the north face of Jardines Lookout and blocking his route to Tai Hang. After helping to deploy a platoon of Winnipeg Grenadiers who were manning the col between JLO and Mount Butler, he headed south on a trail that led to Stanley Gap Road (now known as Tai Tam Reservoir Road). He went past the abandoned batteries on Stanley Gap Road and down to Gauge Basin which was being held by what was left of No 1 Platoon and the Coy HQ of No. 1 Coy, HKVDC, commanded by Captain Harry Penn. There were also two 3.7-inch howitzer batteries still in action at and around Gauge Basin. He then proceeded down to the lower reservoir and the Tai Tam X-Roads. At Bridge Hill shelters, situated near the X-Roads, he put a call through to Brigadier Wallis, the commander of East Infantry Brigade. Wallis had previously commanded the 5th Battalion of the 7th Rajput Regiment before being promoted to Brigadier. Cadogan-Rawlinson had taken over command of the battalion only a few month earlier, when following the arrival of 2,000 Canadian troops a decision had been made to reorganise the infantry into two brigades. Wallis knew Cadogan-Rawlinson well having served together for many years in the same Indian Army regiment. Wallis had decided to withdraw his brigade to the Stanley Perimeter as he faced a very real prospect of all troops in the eastern sector being cut off by the rapidly advancing Japanese who were already firing into his HQ area at Tai Tam Gap. He asked Cadogan-Rawlinson and his group of staff officers, orderlies, and stragglers that had been picked up along the way, to hold the dam and the X-Roads until he could get his brigade and supporting artillery personnel safely across the dam. Later Cadogan-Rawlinson was relieved by a Canadian platoon and Cadogan-Rawlinson was brought back to Aberdeen by MTB and then by truck to Wan Chai where he took command of what was left of his battalion. I knew about his battle exploits in Hong Kong, but little about his personal life and career. What happened to him after the war I wondered. An internet search revealed little about his life, but I did find that at the age of seventeen he obtained the Royal Aero Club Certificate. He had trained on a Caudron biplane, and alongside his certificate was a photograph of a very young and smartly dressed Roger Cadogan. I saw a reference to his having served in the Royal Flying Corp. Prior to 1917 it was a requirement that a pilot had to have obtained a Royal Aero Club Flying Certificate before he could be granted a commission in the Royal Flying Corp or the Royal Naval Air Service. It is not clear how long he stayed in the Royal Flying Corp or why he later transferred to the infantry. In 1917 he is listed as a subaltern (2nd Lt) in the the Duke of Cornwall's Light Infantry (DCLI). In 1918 he fought with the 2nd Battalion DCLI at Salonica on the Macedonian Front. He remained with the regiment after the war ended, and in 1922 is listed as a Lt before being promoted to Captain in December 1922. At some stage he transferred to the British Indian Army most likely in the late 1920s. In 1935 he was serving as a Major with the 7th Rajput Regiment. He continued in the rank of Major until 1941 when he became Lt-Colonel in command of the 5th Battalion in Hong Kong following the promotion of Cedric Wallis to Brigadier. After liberation in 1945, Cadogan-Rawlinson returned to Britain and retired from the Army aged forty-seven, in 1947 on grounds of ill-health, no doubt as a result of three and half years of brutal incarceration in a Japanese POW camp. He passed away, aged only fifty-six, in April 1954, in Ulverston, in the Lake District of Cumbria. In 1929, he appeared on the electoral roll with the same address that he had provided on the Royal Aero Club certificate in 1915. The address being Evelyn Mansions, London. This is a large, red brick, late Victorian or Edwardian mansion block that still exists, off Victoria Street in the City of Westminster. It may have been his mother's address, as an Alice Millers Cadogan was registered at the same address. She died aged seventy-eight in 1951, only a few years before her son died so prematurely. "Roger was a direct descendant of the famous artist. His grandfather, William Sawrey Rawlinson, inherited Duddon Hall (formerly Duddon Grove) in 1860 from Rev. George Millers, a minor canon of Ely Cathedral. Rev. Millers was the nephew of George Romney and his wife Mary. The inheritance came with the proviso that William Rawlinson’s family bear the name Millers in addition to their own surname. Hence Roger’s mother was Alice Millers-Rawlinson. Duddon Hall is a Grade II listed building. The Hall fell into disrepair after the Second World War, but was restored in the 1980s, and is now divided into apartments." It was probably during or after WW2 that the family moved out of Duddon Hall and moved to a nearby house called High Duddon, a Victorian country house. In 1986 the house name was changed to Dower House. The house remains today, and the current owners have lived there for 25 years, and run a charming lake-land guest house from the property. They recalled the two sons visiting at various times when they were in the area. I believe Roger Cadogan-Rawlinson married secondly to Mary Jane Easton, and they had one child Martin Lloyd Cadogan-Rawlinson, born in 1946. At this stage I have no idea what happened to Moya, or when he married Mary Jane Easton, and whether it was before, or after the war. In 1947, India became independent and there must have been a large number of former British Indian Army officers who were out of a job. These were officers who in many cases had spent their entire career with the Indian Army. They spoke the languages of their men. Leave was infrequent, and many no doubt looked forward to retiring at their end of their military career, to a peaceful home in the English countryside, but I suspect that as they strolled the quintissential village green, in the long evening shadows of a summer evening, that they sometimes dreamt of the flash of a sabre, of the heat and the dust of the North West Frontier, and of battles fought, long, and arduous, and half a world away. A most interesting and informative piece, Phil. I notice he settled in the beautiful Lake District - as you say, a long way from the North West frontier - and from Hong Kong!